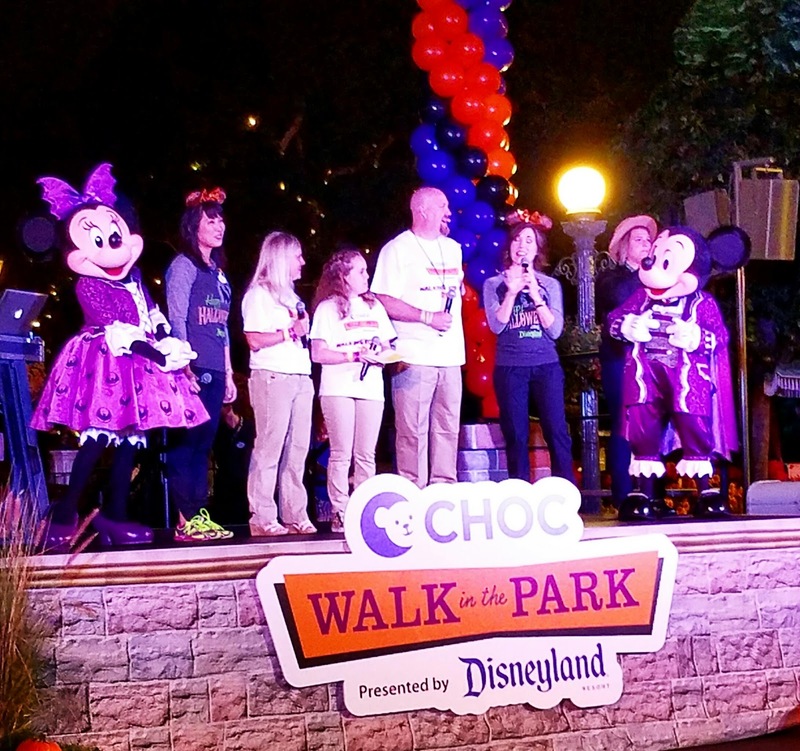 CHOC Walk Success with Another year of 15k Walkers Raising Funds! We did it!! 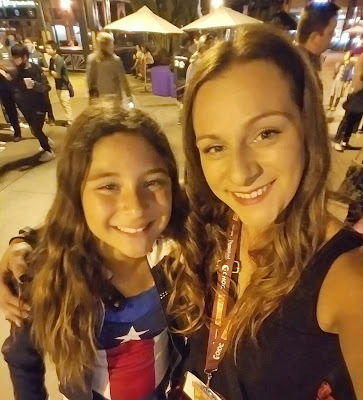 My mini me and I, along with 15k others, joined up to Walk for CHOC! It was a magical Sunday morning meeting up with some of our closest friends to support our favorite local Children's Hospital. A few weeks ago I let you all know just how important CHOC is to our family. Ready to Greet the morning! You can read about my family bond to CHOC and the CHOC Walk here... and this past weekend participating in the walk once again was an emotion filled morning. It's important that my kids understand empathy and appreciation. Not only for life but for those giving so much effort to help someone live. 5 Children in our family have bee cared for by CHOC - We Love you CHOC! You know CHOC is near and dear to us, you know we love all things Disney but, I'd love to let you know our top 6 favs about the Walk, maybe you too will want to give back in your own way for next year! 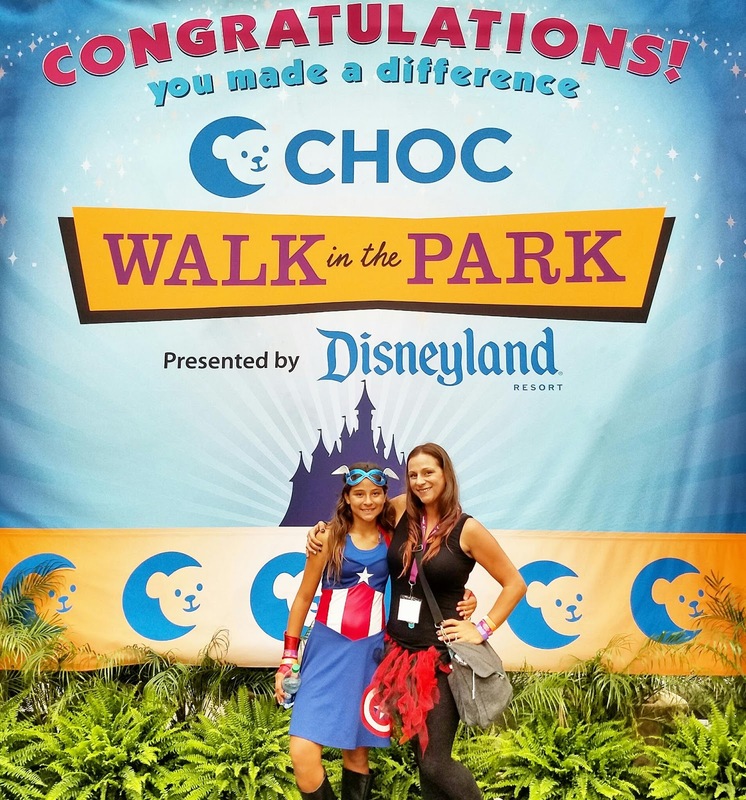 * CHOC is the number one Children's hospital in So Cal. If kids need to be anywhere I'd want them there in the care of CHOC. I have toured the trauma unit and it is top notch with all the latest technologically advanced medical needs. Raising over 300K - What an Amazing Family,Bless them! 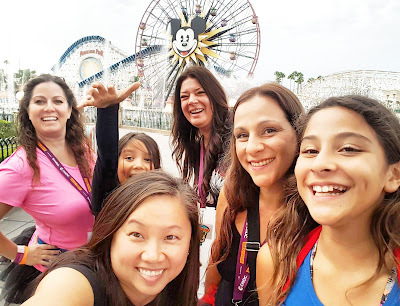 * Disneyland... we love the early morning walk and are surprised with the ever changing walk route. It's always a magical adventure itself to get back stage as you are supporting CHOC. So fun. * Family... Disney is Family but being in the presence and standing on Main Street with so many friends and families with one thing in common, to support, really is a Magical feeling. My heart is always so full. * Fundraising... not only am I giving back for multiple family members, even my own kids, being connected with CHOC but I am supporting the many more beautiful children's families that will also need CHOC. * Special Photo Ops! I love that there are unique and special treats along the walk route. Makes each step even more fun to walk. 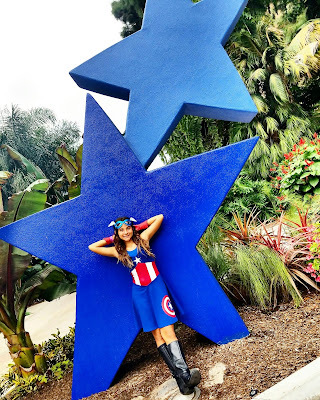 You can't help but smile in the Happiest Place on Earth! No Words..... Sly Fox, Clever Bunny, Crazy Bloggers! * Disneyland Tickets... did you know when you walk in CHOC Walk you are able to use your wristband from the walk to purchase up to 5 Disney Park tickets at a discounted price. I know right!! So for fundraising you are also getting to walk and buy, if you'd like to, $55 and $85 discounted tickets. One day one park or one day park hopper. Wowsa! * Fit efforts for all... so hands down 5 miles is a great walk. It's not only a good amount of steps we need to strive for in a fit daily life but it is also doable for all ages. Showing my daughter that all made the effort to walk, wheel, push or be pushed was inspirational for her to see. I love it. * there is Music as you walk, cheating squads, dj spinning and a huge stage with an awesome MC at the end waiting to announce your arrival through the finish line of a balloon arch! * there are Vendors at the end of the walk. 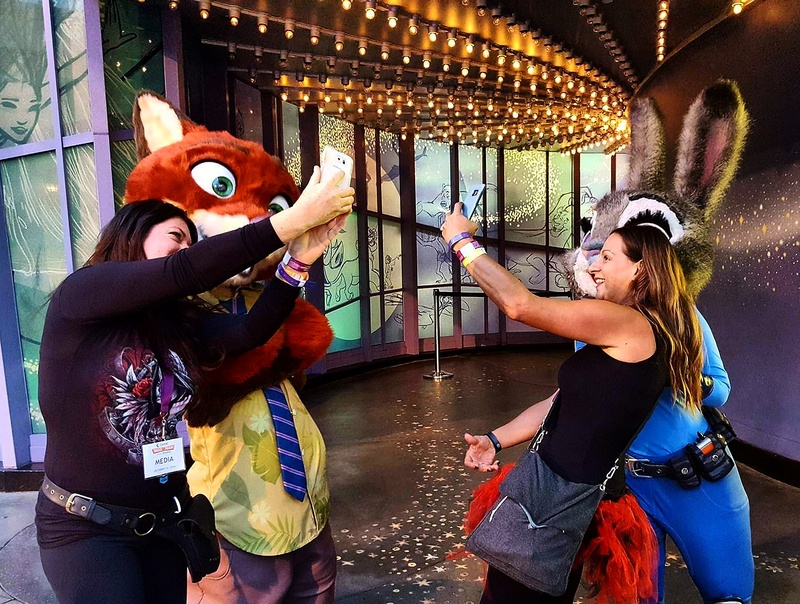 You're welcome to grab a bad and make rounds to see what treats, snacks and information there is to offer while you walk Downtown Disney. Finish early to beat the crowd of 15k... everyone is eager to snack on some free fruit too! Proud of My Super Hero! Everything about this event is Magical and a memory to keep a lifetime. The emotions you feel while listening to others testimony of their "why we're walking" is always an overload of tears, love, faith, will to power on and never give up. I'm so honored to be part of CHOC Walk and will always try to make it yearly. After being on many different teams and supporting many different kids, it's one big family when you're there, never negatives just positives with one goal in mind. I had a peaceful motivational time with some very close friend...well family. Walking for all with loved ones! 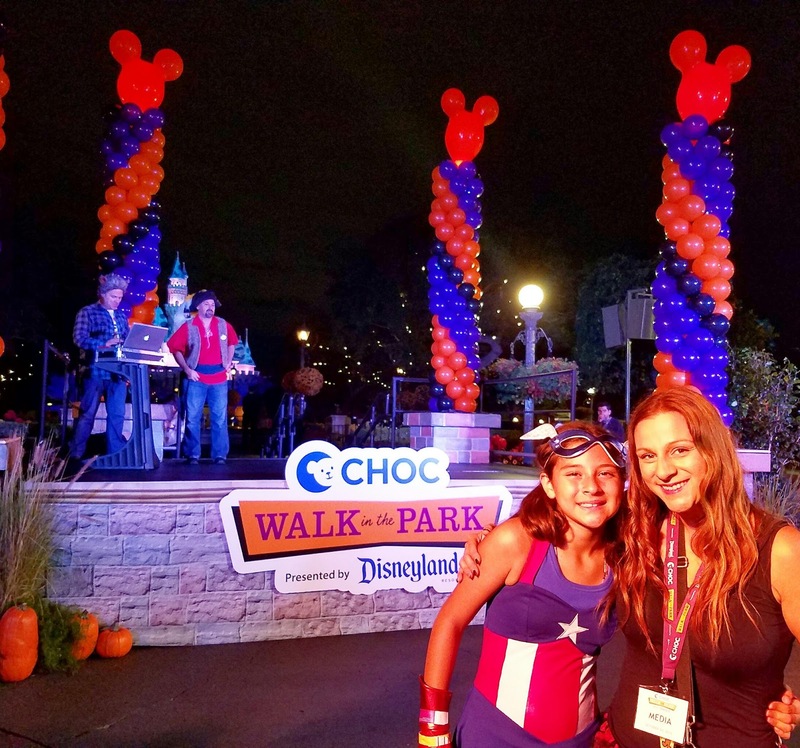 I hope you get to participate in CHOC Walk one day! 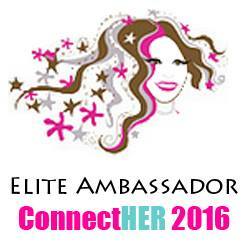 If you have let me know your team name and what your fav was about the event!